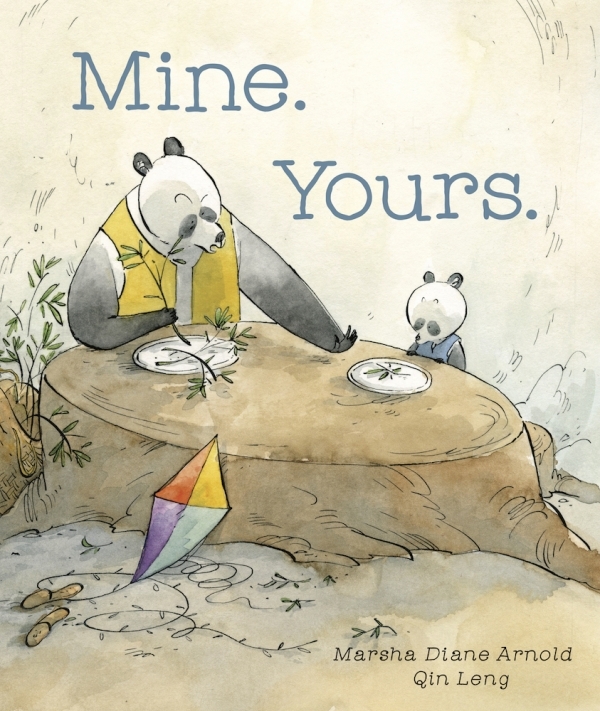 A sweet and funny story about sharing, friendship and belonging. When Little Panda startles Big Panda awake inside his den, Big Panda crankily declares, “Mine.” Then he puts Little Panda outside, “Yours.” When he still won’t leave, Big Panda offers Little Panda a kite. Which delights him! Until the kite’s tail starts annoying the other animals in the forest by sweeping up their things. They all give him the same message: their things, “Mine;” the kite, “Yours.” And soon the animals themselves get caught as they try to reclaim their stuff. Can they all learn a new word — “Ours”? No “mine” allowed! This story’s too fun not to share! Marsha Diane Arnold is an award-winning picture book author with over a million books sold. Her books have been selected for the Smithsonian Notable Books for Children list and the Dolly Parton Imagination Library and have garnered awards such as the Ridgway Award for Best First Book. She lives in Florida. 15 winners will each receive a hardcover copy of MINE. YOURS. During each giveaway, we ask entrants a question pertaining to the book. Here is the question they’ll be answering in the comments below for extra entries: What do you think of the cover & synopsis? The watercolor art is so well done! Love the pandas and the splash of color in the kite! I think the cover is adorable and the story is great! A must-read for all children! I love the cover and like the synopsis.